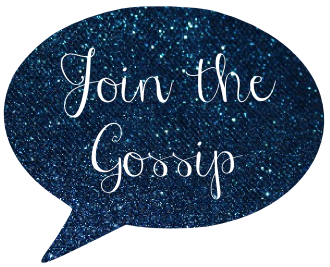 Join The Gossip: Tea Time! As I sit here sipping on some good old fashioned black tea, warming myself on a gloomy LA morning, I figure what better subject for this week's Pink & Green Thursday? I just started getting into drinking hot tea. In fact, it was last July that I started after visiting The Empress Hotel in Victoria, B.C., Canada for high tea. Now I'm obsessed! I find myself daydreaming over tea parties and how much fun they'd be! Want to play along? Pink & Green Thursdays hosted by Trish over at Pink Preppy Lilly Lover are so much fun! Head on over to her blog to check it out and link up. I love the Empress. I’ve been to high tea at Christmastime there. It was so beautiful! Oooh, I love that cake. Or maybe it’s a plate full of frosting? Either way, yum. Great pictures! P.S. I left you an award on my blog today! That is a great shot of Gwen Stefani and the pink cake and cupcakes in the 3rd pic looks like my ideal set-up for a tea party! I find myself drinking a ton of hot tea when it gets cold out. I look forward to that in the fall. This is another great post! Love the picture of Gwen Stefani. Actually, all of them look so good! Nice post! Love, Love, Love! Your blog is FAB! Glad we found it! I'm drinking cold peppermint tea, with lemon wedges right now, sounds kinda gross but it's amazing! --It's hot here in SC, so I need something to cool me downnn! I could SO go for a tea party right now! I love tea parties! I've always wanted to attend a tea at one of the fancy hotels here in Chicago! i've only been to one, but it was quite awesome! Tea parties sound like so much fun! But the only kind of tea I drink is sweet iced tea. Oh that is Lovely! A tea party would be brilliant! Ohhhhh, cute pictures!! I would love to live somewhere there was tea time and fancy things like that. You should throw a tea party to celebrate your 1 year love of tea! Thank you for the comment! I love the horse farms in Lexington. They're probably my favorite part. You're right..I'm in DZ! Were you?? So glad you started drinking tea. Love your pictures. Mama Mia, I just love love your feeling & your cyberworld!! Leeann, what a wonderful tea party! I love this blog! 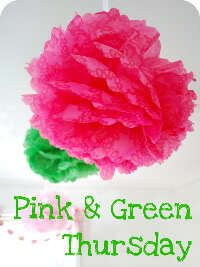 The tea party is so inspiring to use for a shower...and the pink and green theme is awesome :) thanks!! I wish I liked tea, but it's just not my thing. I will drink it when I have a sore throat, but otherwise, it's coffee all the way for me.